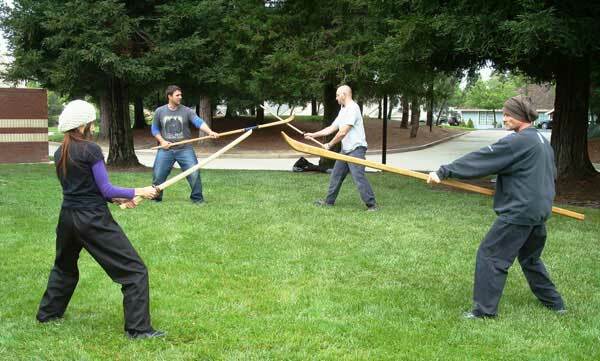 Our Bujinkan group is called the Buyu or "warrior friends," and was originally created by Jack Hoban and Mark Hodel. The goal of the Buyu Dojo is to provide an intensive and complete self-defense training experience while keeping each lesson effective, safe and fun. Our non-competitive training methodology is based upon budo-taijutsu and the use of classical, modern and everyday objects as weapons for defense of self and others. Taijutsu is supportive and non-competitive, with emphasis on relaxed, natural body movements. Attacks are not directly resisted and the opponent is always kept off balance, making these arts ideal for persons facing larger, stronger assailants. The absence of competition and the complete focus on self-protection skills allow students to experience the joy of effective movement and the power of directed intention. Classes are taught in a relaxed atmosphere; men, women and children are encouraged to attend. 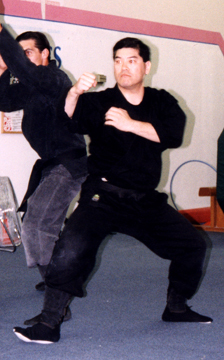 Unlike martial arts that specialize in a particular technique, Taijutsu covers the entire spectrum of protective action and places equal emphasis on striking, kicking, grappling, throwing, and effective use of edged, impact, and flexible weapons. A comprehensive set of movement principles make it easy to adapt objects and features in one's immediate environment for protective use. Training in authentic warrior skills develops a unique kind of personal confidence and leads to genuine empowerment. 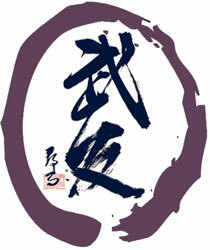 Empowerment is not power over others, but rather the power to live according to universal life values. All students train together when possible. There is no "caste" system. Rank and seniority bring responsibility rather than privilege.